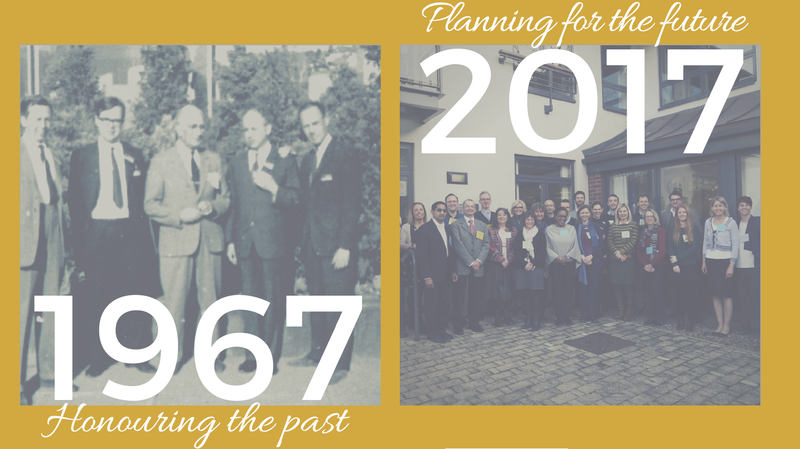 The BSA had it's inaugural meeting on 8th September 1967 and we will spend some of this year celebrating by honouring the past and planning for the future. Here's how we plan to do it! 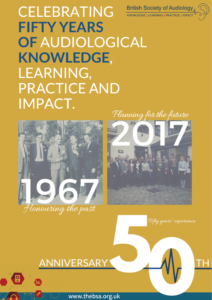 Would any of the founding fathers of the BSA, Arthur Boothroyd, John Knight, Larry Fisch, Ron Hinchcliffe and the first chair Derrick Hood, have imagined back in 1967 that their newly formed British Society of Audiology would be celebrating its 50th anniversary? Thanks to these distinguished pioneers and the numerous chairs, officers, trustees and BSA members who have worked for the BSA throughout the years, and especially thanks to Kevin Munroe under whose leadership the modernisation process began in 2012, the BSA is still the dynamic, flourishing, influencing and educating organisation that was envisaged in 1967. How many practicing audiologists, researchers in the fields of hearing and balance, medics and educationalists have been influenced by the work of the BSA? How many people around the world rely on the BSA’s recommended procedures to ensure the quality and consistency of their work? How many people with hearing and balance problems have had their quality of life improved by what the members of the BSA have achieved? As we celebrate the golden anniversary of the BSA’s inaugural meeting we can be immensely proud of all those who have contributed to the work of the society and what has been achieved. We now have eight Special Interest Groups, a thriving community of research scientists, representation on several committees and groups to advise on and influence government policy, the International Journal of Audiology and our membership magazine Audacity, to name a few activities! Our presence on social media and our website help us to communicate worldwide in a way that couldn’t have been dreamed of 50 years ago. Our five year strategy and our new two year action plan guide us into the future. 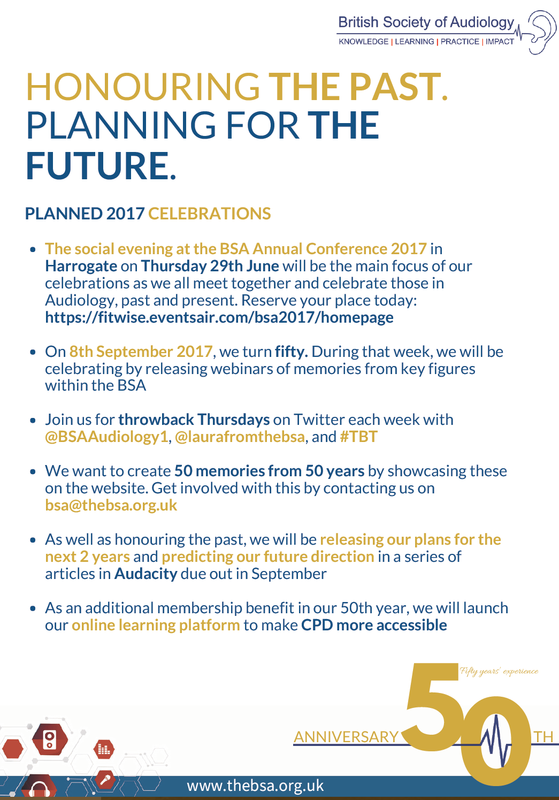 Take a look at the amazing timeline that our Operations Manager Laura Turton has produced from the BSA’s archives. This celebrates the past but has an arrow pointing to the future. What that future will look like depends on the current and future generations of supporters of the BSA. Please do all you can to support and further the work of this very important organisation and enjoy our celebrations! 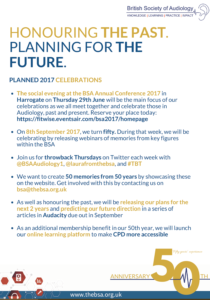 Do you have any other events that the BSA has been involved in which you want to share? Contact us on bsa@thebsa.org.uk and we will start up a memories page here.